Looks like our popularity amongst Manchester City footballers has been reignited. 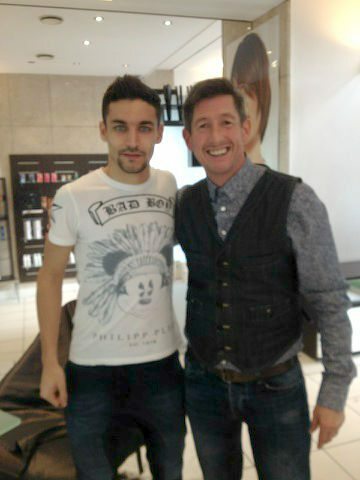 Midfielder Jesús Navas popped into the salon last week for a trim with Peter. The Spanish international is following in the footsteps of teammate Sergio Aguero and former City player Carlos Tévez, who both had their locks cut by Peter back in August 2011. We like to think we inspired Navas’s 33rd minute goal against Cardiff on Saturday; with hair looking that good we don’t blame him for wanting the camera’s attention on him! In all seriousness, Peter and Marcus are both big Manchester City fans and the fact that some of the squad choose our salon over others in the city is a massive compliment. Peter Marcus: adding a touch of glamour to Manchester City FC since 2011!